The Swiss bank reported a 2 percent increase in pre-tax profit despite a torrid end of 2018. The investment bank crashed to a quarterly pre-tax loss, while wealth management assets fell. The tougher environment puts more pressure on CEO Sergio Ermotti to hit his expense targets. CEO Sergio Ermotti of Swiss bank UBS speaks at the annual news conference in Zurich, Switzerland January 22, 2018. UBS on Jan. 22 reported operating income of $30.2 billion for 2018, an increase of 2 percent year-on-year. Pre-tax profit of $6.4 billion was 19 percent higher. Excluding one-off charges it was 2 percent higher. Pre-tax profit at the bank’s cornerstone global wealth management division grew by 12 percent year-on-year to $3.9 billion. The unit reported $7.9 billion of net money outflows during the fourth quarter, a measure that includes client investments and withdrawals. That compared with $24.7 billion of net new money inflows during the whole of 2018. Excluding a revaluation of tax assets, UBS earned an annualised return on tangible equity of 13.8 percent for the year, against 13.7 percent for 2017. The lender’s common equity Tier 1 capital ratio was 13.1 percent at the end of 2018, compared to 13.5 percent three months earlier. The Zurich-based bank announced an 8 percent year-on-year rise in the annual dividend to 0.70 Swiss francs per share. 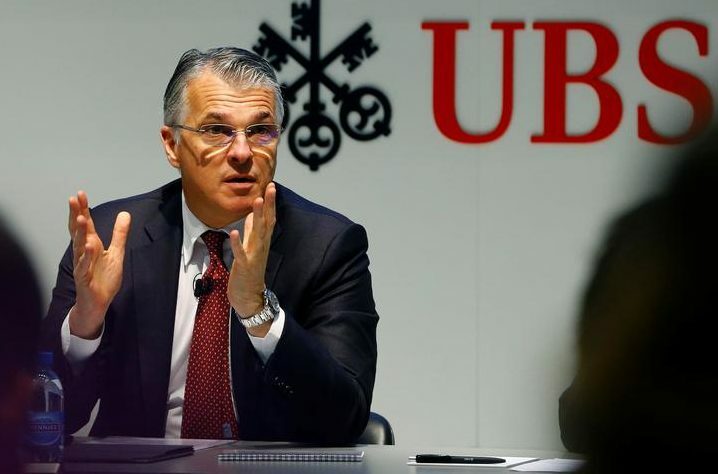 UBS said it intended to buy back $1 billion of shares in 2019, having purchased 750 million Swiss francs worth of shares during 2018. UBS shares were down almost 4 percent to about 12.90 Swiss francs at 0921 GMT on Jan. 22.